Daniel Langthasa posted a series of images about his father's murder on his Facebook page, questioning the BJP for giving former militants benefits and power. New Delhi: Far away from the ongoing violent discord over the right to freedom of speech and dissent by students of Delhi University, a young singer from Assam’s Haflong town is facing the ire of the BJP and Akhil Bharatiya Vidyarthi Parishad (ABVP) supporters on social media for “doing a Gurmehar Kaur”. 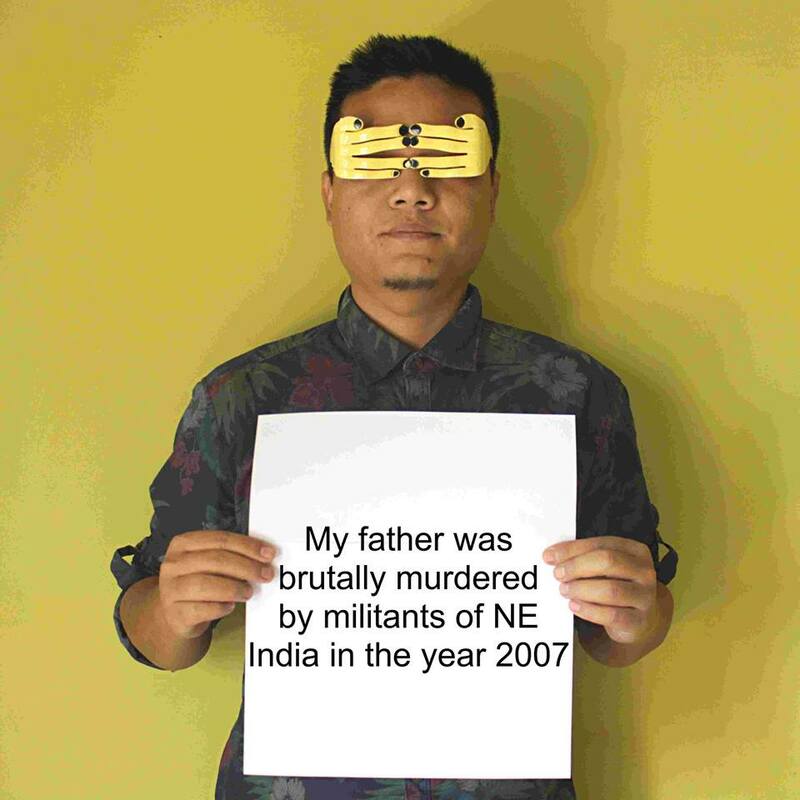 On February 27, Daniel Langthasa, the lead singer of popular local alternative rock band Digital Suicide, posted a series of images using 13 placards on his Facebook page – similar to what Lady Shri Ram college student Kaur did a year ago – to tell the story of his father, who was “brutally murdered” by militants in the state’s Dima Hasao district in 2007. “The militants took up arms and were fighting against India!” he said in a placard. He went on to say that when his father died, he “neither asked for money (meaning compensation) nor a government job” but that “after the militants surrendered, (the) Indian government gave them crores of money”. Langthasa highlighted his trolling by ABVP and BJP supporters in the state by posting an example, which showed different names but the same words, a usual modus operandi followed by paid trolls. “For people who are not aware or still think that paid trolls of government do not exist, here is a proof that you need. We all need to wake up now,” he wrote on February 28. 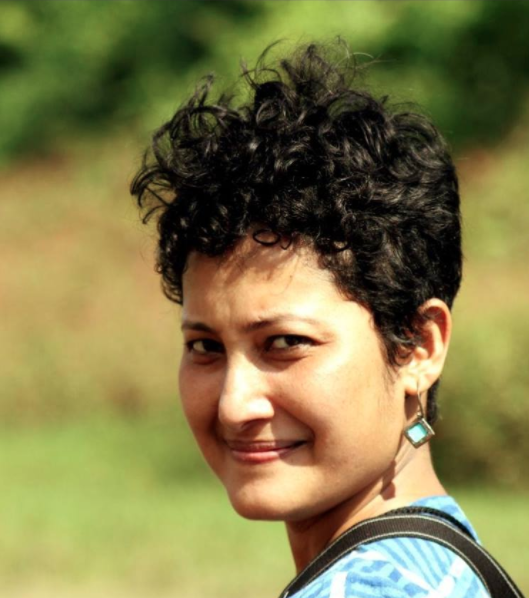 Daniel also wrote what he thought of the Congress, which ruled the state for three terms before the BJP took over the reins in May 2016 and also controlled the North Cachar Hills Autonomous District Council that administers Haflong. Since October 2015, the Dima Hasao district has been witnessing an ugly power struggle between the Congress and the BJP. Though the Congress won ten seats in the 2013 council and took control of it with the help of six independent members, the BJP – after nine Congress rebels and some independents under the leadership of former militant Niranjan Hojai defected to it – staked claim to form a council led by it. That council lasted for about three and a half months. In February 2016, the Congress regained power of the council after the defectors returned to the party. However, after the BJP won the May 2016 state assembly polls, the party’s fortune changed in the district. Congress members defected to the BJP again to form a new council. In the 2013 council elections, Congress won ten seats and the rest were won by independents. The BJP didn’t win a single seat. Speaking to The Wire from Haflong, Langthasa said, “All I am asking from the BJP, which is in power in our state, district and the Centre, is to introspect about its policy regarding the decision to let former militants become its leaders and not to send a wrong message to the future generation of the country”. At the time of publication, Langthasa’s post with the placards was shared over 4,000 times.